After Javanegra and Ático, Chef Andrea Peresthu returns with the arrival of his new restaurant Daun Muda Soul Food by Andrea Peresthu. Now focusing on Indonesian food, the chef is exploring the food of his hometown Palembang, Manado, and the east coast of Sumatra. Fans of spicy food will love Daun Muda because the dishes come with a generous serving of spicy herbs. If that’s not enough, get any of their ten different chillies for extra level of spiciness. 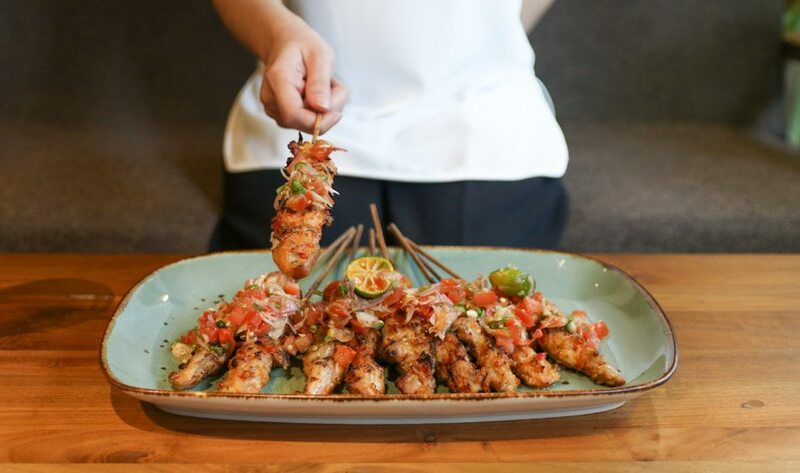 Sate Ayam Menado and Ayam Ijo Royo Royo are among the standout dishes, but seafood is actually their main highlight. Don’t forget to get their Ikan Bakar Bujang Gadis and the most-ordered Aneka Kerang Rebus, which is perfect for sharing with your group of friends.